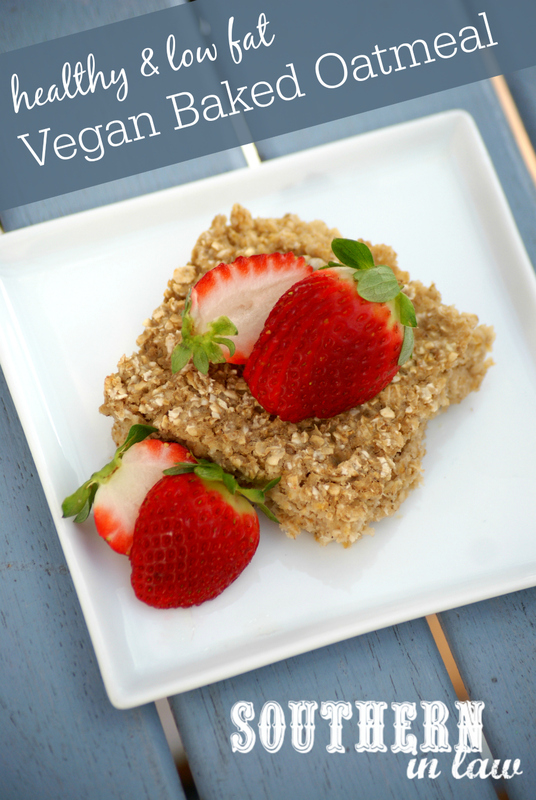 You might be thinking another baked oatmeal recipe Kristy? Seriously?! Yup. Sorry not sorry, friends... but let me explain. 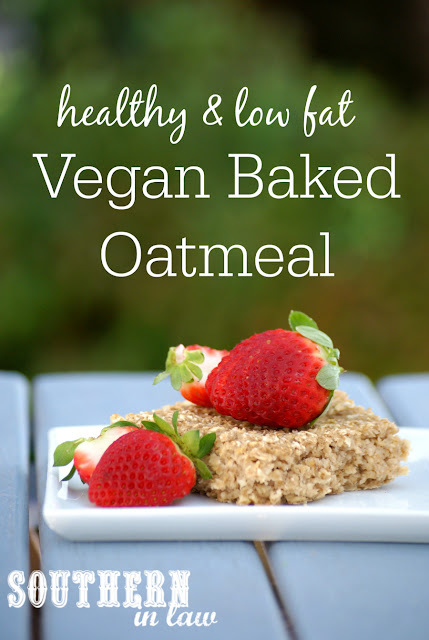 You see, there's a reason why I can't get enough of baked oatmeal.... and that reason is pretty simple... and seriously delicious. 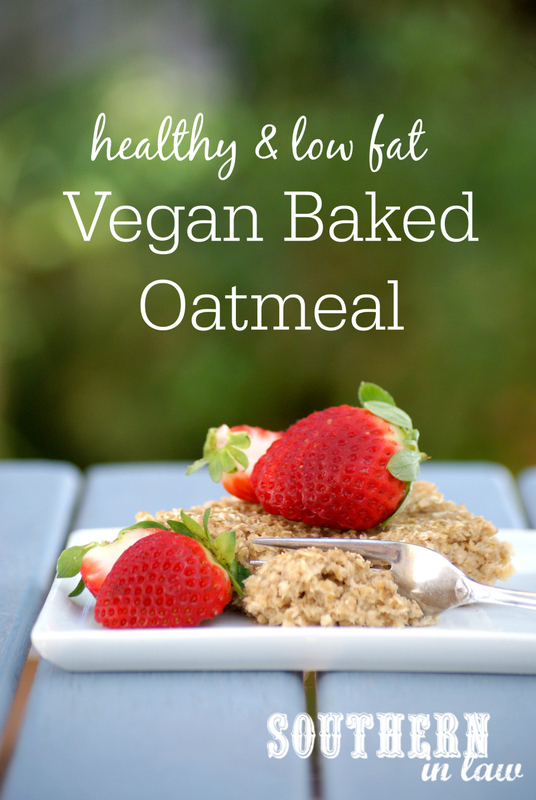 Why am I obsessed with baked oatmeal? Why, because it's the perfect canvas for toppings. And that's exactly the reason I bake my baked oatmeal in bigger tins; so the pieces are larger and thinner so there's a higher topping to baked oatmeal ratio. I mean, really. There's no such thing as too much peanut butter or almond butter or cream cheese or whatever topping your heart desires.... and it kind of feels like eating cake for breakfast. 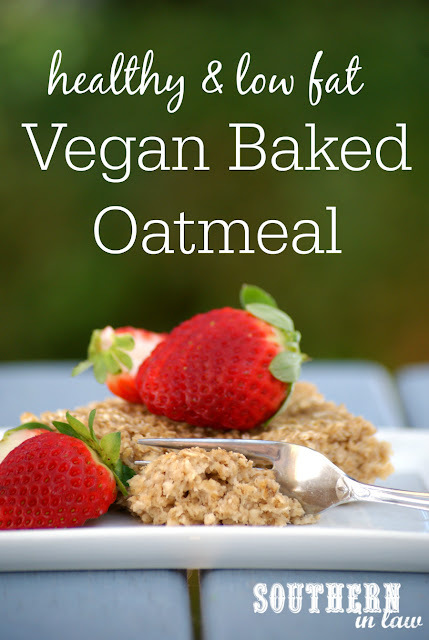 Usually baked oatmeal recipes are laden with eggs and milk and butter or oil and not vegan friendly, however, this one is perfect for all sorts of special food needs as it's gluten free, dairy free, egg free, vegan, nut free, sugar free AND a clean eating recipe too! Line an 8x8" or 9x13" cake tin or baking pan with baking paper and set aside. In a medium-large mixing bowl, combine your applesauce, milk and maple syrup and mix to combine. Mix in your oats, baking powder and baking soda, mixing until all of your oats are covered and your ingredients are mixed through. Pour your oat mixture into your prepared tin and smooth out with a spatula or back of a spoon, ensuring the mix is evenly spread out. Bake for 15-25 minutes or until cooked through and lightly golden. Cooking times will vary depending on the thickness of your baked oatmeal so keep an eye on it and take it out once it's cooked through and firm to touch. A skewer inserted into the middle of the oatmeal will remove with a few moist crumbs. *We usually only add 1 tbsp of maple syrup as we find it sweet enough with the applesauce and we add fruit and sweet toppings. **Quick oats will give you a softer texture, however, use whatever you have on hand! If you're not gluten free, just use regular oats! Find out more about oats on a gluten free diet here and feel free to substitute with quinoa flakes instead if you can't eat oats. But tell me, what's your go-to breakfast? Are you a baked oatmeal fan? If so, do you eat it as is or load up the toppings?